We are delighted to announce 4 new independent workshops have joined the network in so far in 2019, these are; D S Commercials, Colley Lane Truck & Bus, Kerb Side Motors and Fenland Haulage. These workshops joining will play an integral part in our plans to increase the TOP TRUCK networks coverage across the UK and with each of them offering unique benefits to our network we are set for an exciting year ahead for the network. 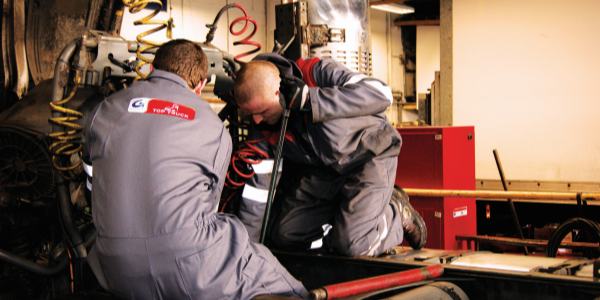 TOP TRUCK is the UK’s premier Commercial Vehicle workshop support programme. A division of the European workshop programme from GROUPAUTO International, TOP TRUCK is available to independent businesses supplied by both G-TRUCK and UAN TRUCK parts distributors. The programme is designed for CV workshops looking to take the next step in their development. G-TRUCK and UAN TRUCK are committed to the success of independent workshops, offering them access to a huge range of quality parts, lubricants, tools and consumables competitively priced. The network continues to grow with more than 1400 workshops in 16 countries.